Welcome! My name is Zaman, aka Shazam. 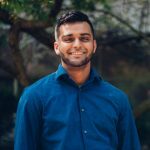 I am a TRSM student in my final year at Ryerson. I am passionate about event planning, writing and my Americanos. Three crème, Three sweeteners. And of course a macaron on the side.